Just after servicing both Super Bowl XLIV and the Pro Bowl, Aggreko now announces its long term growth and expansion plans by leasing an industrial property right here in Miami. Aggreko was represented by ComReal Miami’s industrial real estate team comprised of Edward Redlich, SIOR, CCIM, Christopher Spear and Edison Vasquez. The Miami industrial property consists of a warehouse building of 30,000 square feet constructed in 2004 that sits on a 3 acres industrial site. The property is located at 3601 NW 123rd Street, Miami, Florida in Seaboard Industrial Park. Julio Reyes of Aggreko with Edison Vasquez & Christopher Spear of the ComReal Miami Warehouse Team. 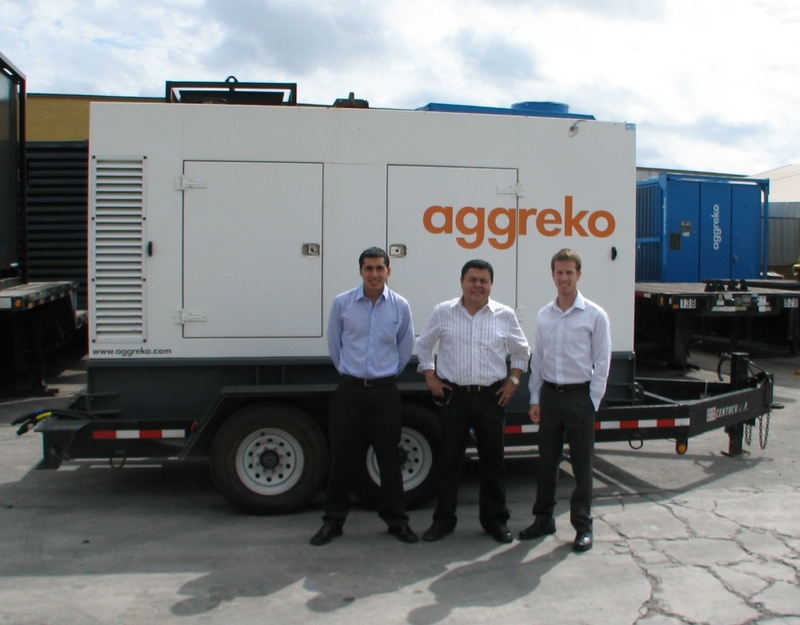 Aggreko is a world leader in the rental of industrial generators and the distribution of power. The $2 billion company is headquartered in Scotland. Aggreko operates in over 133 locations in one hundred different countries with over 3,000 employees. They serve industries such as events, construction, contracting, food & beverage, government, facilities management, manufacturing, distribution, fuels, oil, gas, petrochemical, shipping, telecommunications, utilities and power generation. For more information, visit www.aggreko.com.